From the early beginnings of our country, American families have added warmth and beauty to their hard, bare wood floors. Rugs adorned early homes, but the comfort and luxury of wall-to-wall carpeting was a modern invention. In the early 20th century, cotton and wool were the primary fibers used to manufacture carpet. But they were expensive, easily soiled and impractical. But with the introduction of acrylic fibers, everything changed! Carpets had new durability and softness, were easier to clean, and were more affordable. Now the luxury of carpet was within reach for more families, and carpet became the floor covering of choice for American homes. Through the years, Wear-Dated® has lead the way in new carpet fiber innovation. "Tough-tested" nylon fibers were included in Wear-Dated Carpets, giving consumers added softness and durability. Wear-Dated continued to push technology forward with the addition of stain-fighting agents, and enhanced construction techniques to resist traffic patterns. Today, Wear-Dated continues to bring new features and benefits to the widest range of carpet buyers through the Wear-Dated Family of Brands. These exciting carpet lines provide the dealer with a range of carpets that can satisfy any customer. For high traffic areas, Wear-Dated offers Traffic Control, with the revolutionary Traffic Control Fiber System®. This process inserts a new reinforcing fiber with the regular nylon yarn, which is heatset and twisted. This fiber melds the yarns together, adding strength and resiliency. This carpet resists matting and crushing, so even the busiest rooms stay beautiful, step after step, year after year. ThermaSealedTM from Wear-Dated Carpets combines the elegance of wool carpeting with the superior performance and value of Nylon 6,6 in one carpet! Created especially for berbers, ThermaSealed fibers are heat-refined to "flash-off" stray fibers for a smoother appearance. This affordable, exquisite carpet looks and feels so much like wool, it's hard to tell the difference. DuraSoft® by Wear-Dated combines resistance to wear with exquisite softness. Crafted with more fibers per square inch, DuraSoft achieves a softer feel without sacrificing an ounce of durability. Now even the most luxurious rooms can have beautiful carpet that lasts. For the fashionable customer, Wear-Dated II® is ideal. The ultimate in fashion and style, Wear-Dated II Carpet offers the selective customer an unmatched choice of color, as well as superb luster and feel. 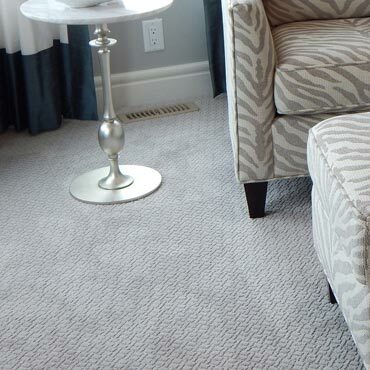 Higher twist and density requirements create a carpet of obvious quality and distinction. For the best defense against spills and odors, there's LiquaShieldTM from Wear-Dated. LiquaShield controls liquid spills with a revolutionary new backing system that keeps spills trapped before they can seep down through carpet, into the padding. That means easier cleaning, less odor, no mysterious "reappearing" stains, and a carpet that keeps its beauty much longer. Available exclusively at the Home Depot. No one wants a "cheap carpet". For value-conscious customers, Wear-Dated Freedom® offers Wear-Dated quality at an affordable price. Now a value- priced carpet doesn't have to look the part. Wear-Dated Freedom brings Wear- Dated quality to a new buying public. Count on The Wear-Dated Family of Brands to satisfy the needs of your customers with unmatched quality, style and performance!